Curt Fendley, a 5th grader at Crockett Intermediate School, started Operation Empower in January 2017. 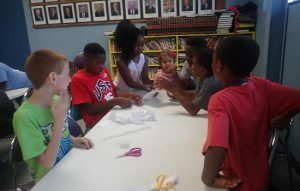 Operation Empower is a group of 3rd–7th graders within the Boys and Girls Club of Paris developing leadership skills. 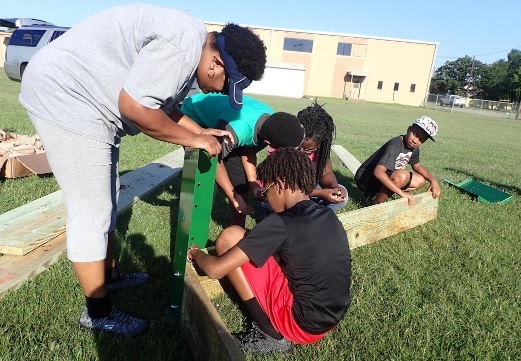 Through hands-on experiences, they are learning real-life skills such as gardening and simple woodworking, etc. 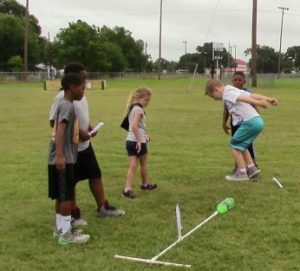 They are using these skills to improve their club and community. All their projects are planned and managed by the youth and are paid for by donations to Operation Empower. 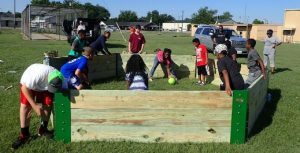 By doing this, Operation Empower is allowing the kids of the Boys and Girls Club to learn the value of volunteering and that they can make a difference in their community. They have made a substantial impact already by building tetherball sets, a gaga ball pit, and a vegetable garden for the Boys and Girls Club. 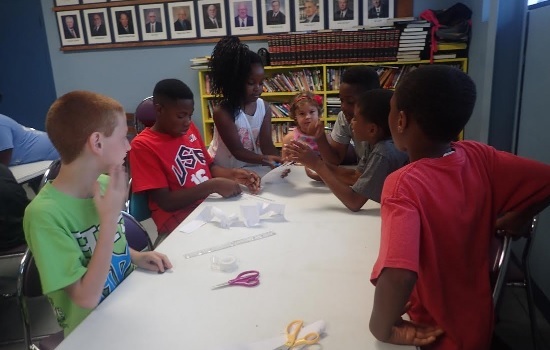 On Tuesday, June 13, 15 Operation Empower kids hosted a science camp for about 50 other members of the club. 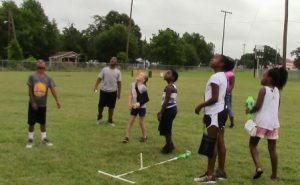 They used the Boys and Girls Club of America’s DIY STEM program, and they helped the other members build and launch paper pop rockets. It was very empowering for the Operation Empower kids to plan and organize a science experiment that allowed hands-on learning for the other members of the club. After spending days organizing and planning, their efforts paid off by the successful pop rocket launches and happy faces of the other kids at the club. Operation Empower is not only about building a product. Through project planning, they are gaining real-life skills such as critical thinking, communication, and teamwork. They are learning that the things they are learning in the classroom have a practical use in the real world. Anyone that would like volunteer or donate to Operation Empower, please contact Curt Fendley at operationempowerclub@gmail.com.